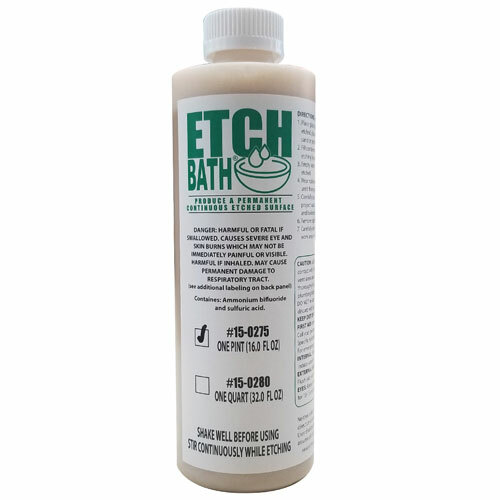 When you are looking for a method to create an overall etched surface for a favorite glass jar or bottle...or even searching for a way to add depth and dimension to your glass beads Etch Bath is the solution! 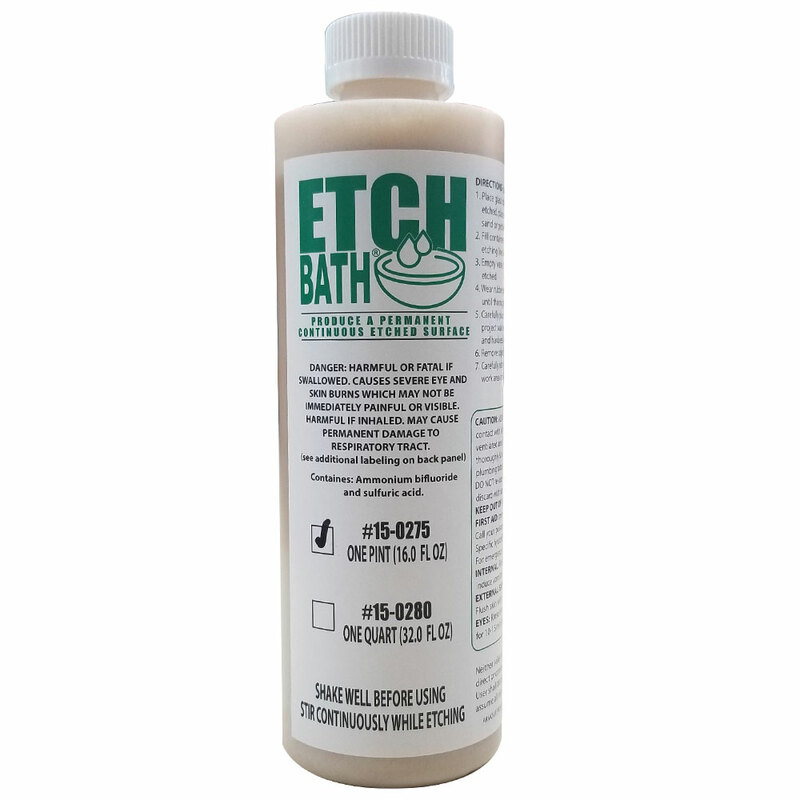 When you dip your project into Etch Bath this quick acting chemical goes to work producing a soft etched surface. You can easily decorate any project using acrylic and oil paints readily available decals and rubber stamps with permanent inks and embossing powders. A great way to recycle. Not for use by children.